Hi everyone! I've always been fascinated with generations before me and learning how everyday life may have differed from my own. 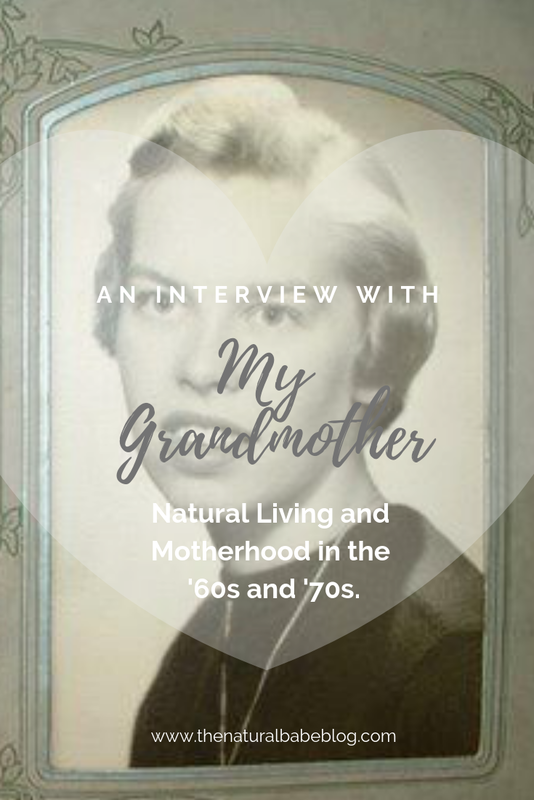 In today's blog post, I interviewed my grandmother, Sandra D., and asked her several questions about her life growing up, living naturally and being a mom. Her answers were quite beautiful and I really enjoyed getting to know my sweet Granny better. Keep reading to find out all about it! 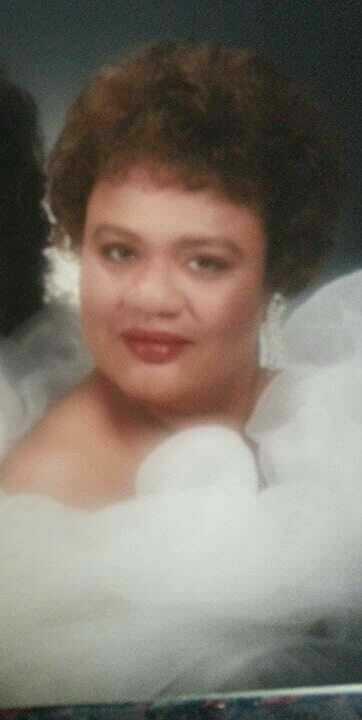 This post is in loving memory of all the wonderful women and grandmother's we didn't get a chance to interview. 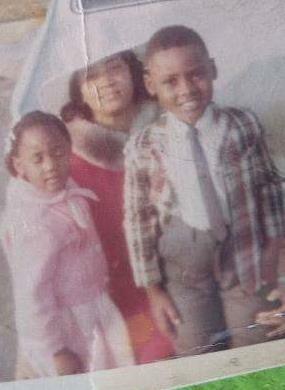 We love and miss you every day: Edna S., Sandra C., and Betty J. *The things written in green are my initial reactions! When did you get married (and how old were you)? "I met Jack [my husband] thru a very dear friend. I had actually met his parents first when my friend Judy and I went to visit them one day. 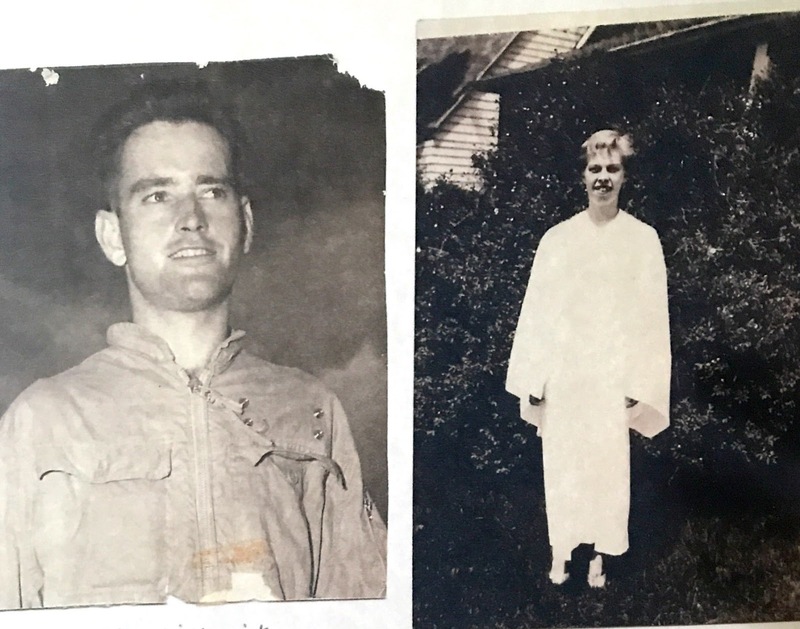 Jack was home after being discharged from the navy and Judy introduced me to him at the skating rink, he was very impressive on roller skates." 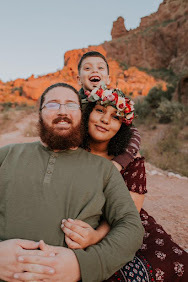 "We began dating, fell in love, and married 3 months later. Jack was headed off to college and we didn't want to be separated. [This was on] 8/3/1957." Awe this is literally a scene out of a romcom! "I think today's young people are so wise not to hasten marriage. I was 17- almost a month away from my 18th birthday when we "tied the knot". It was not unusual for girls to marry young back-in-the-day. There was not much opportunity for girls to get a job. 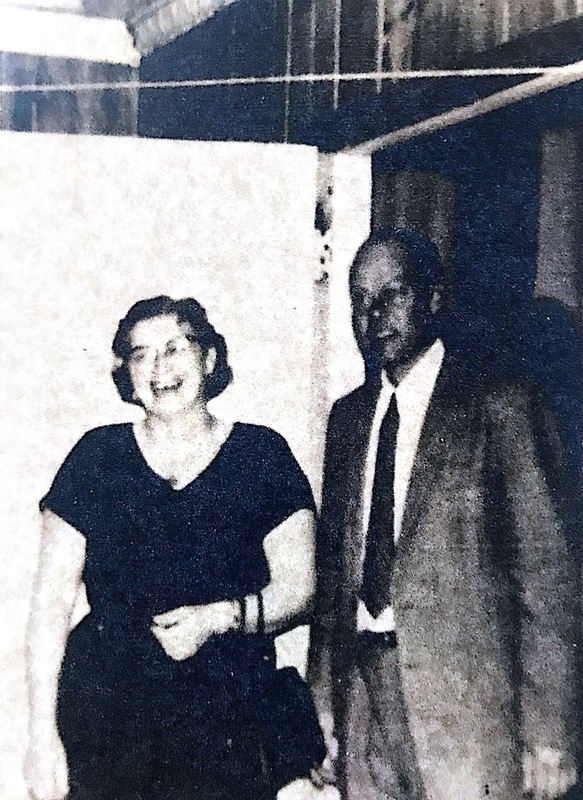 I had planned to go to nursing school before I met Jack, that and secretary or teacher was what was available." 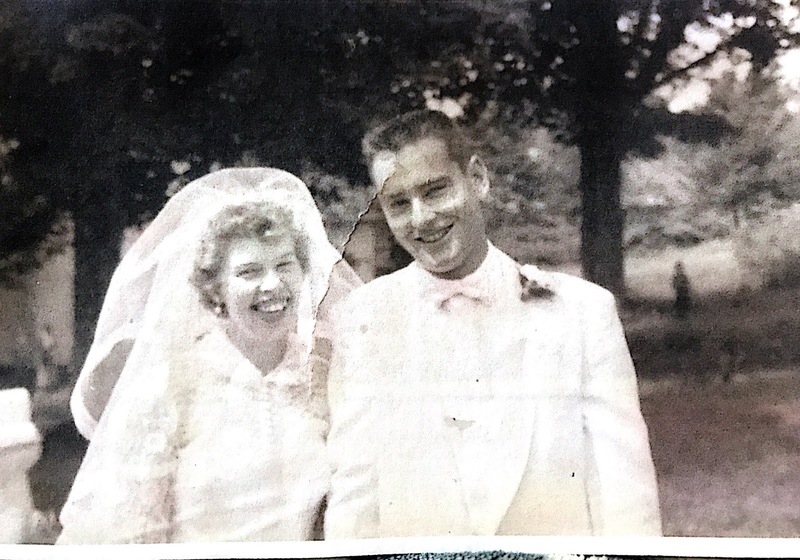 Wow, even though their love story is sweet, I appreciate my grandma for being so honest about the challenges that she faced as a woman in the '50s and those that come along with marrying young. "I was basically a stay-at-home mom, with 4 children: Darleen, Donald, Diane (that's my momma! ), and Debra, until Grandpa's company went out on strike in 1971. He stayed home and I went to work as a waitress- a job I continued to do for many years." What was it like being a child in your generation? What did your family do for fun when you were a kid? "My Mom was a great cook. We always had a garden and chickens when I was growing up and my parents both hunted. We sometimes had pigs. 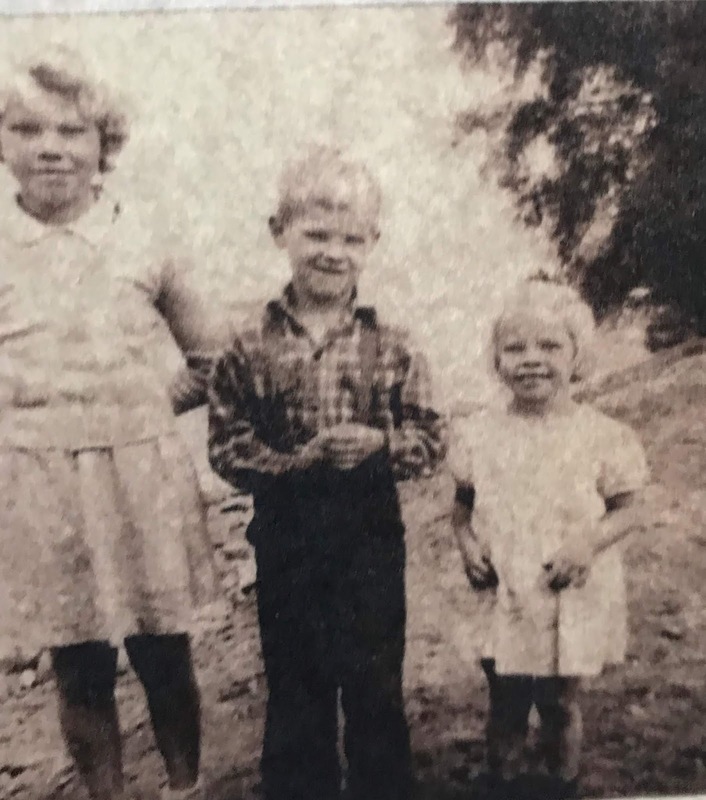 "After we moved from Michigan- after the end of the war- back to Vermont- we lived just a few miles from my Fish grandparents and holidays were always spent with them and all of my mother's family- my Aunts, Uncles, & cousins. Food was a big deal! My grandmother made homemade donuts nearly every morning. Lucky Grandpa!!" The bread and butter! I was dying to get a glimpse into my grandmothers day as a mom in the '60s and '70s. Here are the questions I asked her, let's see what she says below. Were you a stay at home mom or working mom? Did you have home births or hospital births? What were things your doctor/midwife told you to avoid during pregnancy? What are some things that your doctor/midwife told you to do for a healthy pregnancy? What was a typical day like for you when you had young kids at home? How would you treat the flu, chicken pox, and measles back then? What were some staples in your medicine cabinet/first aid kit? Did children get vaccinations at that time, how many? If not, were things like seasonal allergies, SIDS (Sudden Infant Death Syndrome), or autism very prevalent? "All of our children were born in the hospital." My grandma laughs, "Drs. back then did not offer pre-natal or pregnancy advice. A woman had her female family members to advise her. Remember, back then people did not move far away from home. I did quickly learn one lesson, don't eat everything in sight 'cause it is difficult to lose it after the birth of the baby, I gained 50LBS when pregnant [with] Darleen- didn't do that again!!" What? Doctor's didn't give any prenatal advice? I could definitely see that being a blessing and a curse. A blessing, because today it seems that there is almost too much advice out there its hard to even know where to start! A curse because women had to find out on their own, things like instead of eating for two people it's more like eating for a person and a half. "Grandpa often had 2 jobs when the kids were little, and for me taking care of 3 little kids was a full-time job. We always had a garden and if I was going to cook or can I harvested early in the day. I canned all of our produce. I always cooked everything from scratch, and still do, so preparing meals was a time consumer." 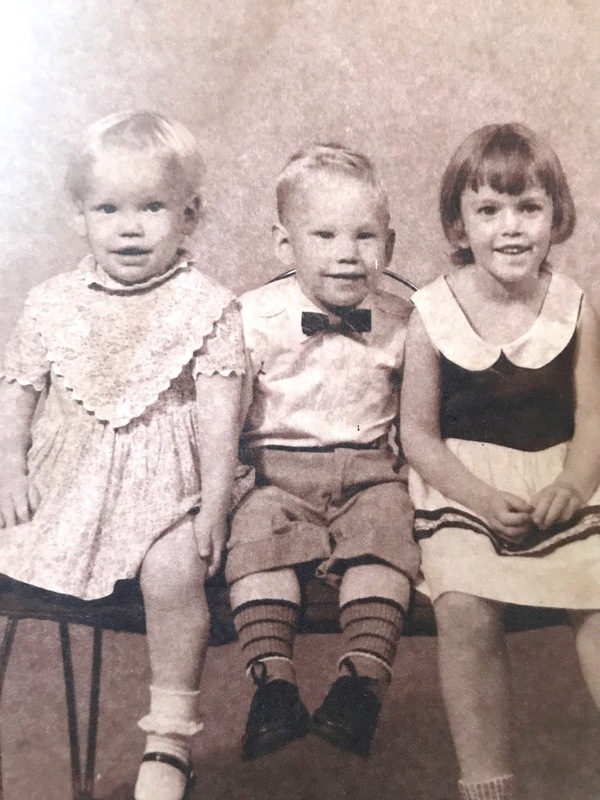 "When we bought the old farmhouse in Ballston Lake,[New York], which we did when Darleen was 5 because we wanted the kids to go to a good school, it was like coming home. We had great neighbors. We had a hill on our property and when the kids were coming into the pre-teen years Grandpa built a ski tow and a lot of neighborhood kids came and enjoyed the fun. As older kids, they had a snowmobile to run around on." The old farmhouse, now, thanks google maps! "I don't remember anyone having the flu- our lives were not as toxic as today. The kids got [sick with] chickenpox, mumps & measles. I think the only shots they got was DPT(diphtheria), tetanus,& whooping cough. Aspirin, cough syrup & band-aids were our go tos." "I do not ever recall hearing of a child dying of SIDS, or any autistic children either. However I will say that what today is termed, ADHD was called "full of energy", Donald was "full of energy." The fact that SIDs was almost nonexistent and the more calm reaction towards curable diseases like chicken pox and measles was definitely the most interesting thing to learn to me. Growing up, every holiday my mom and I would pull out the old family recipe book. It always made me wonder what it was like gardening and preparing food back then, here are some questions I had been dying to ask my grandma. What was food and preparing meals like when you were a child and did that change much when it was time for you to be a mom? 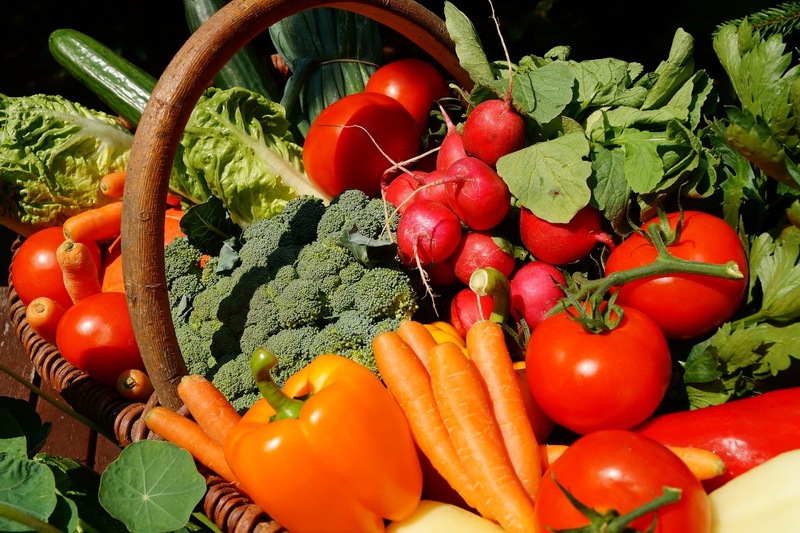 Did you garden and harvest your own food? Did you have any farm animals? What were a few plants that you grew and used for medicinal purposes? Do you remember any of your go-to recipes as a mom? How did you get things like milk and meat? "Grandpa and I often had chickens- Donald used to sell them to the neighbors when he took his turn to care for them. We did pigs just once when we lived in Mallets Bay, Vt. Grandpa changed jobs- and we were moving." If you know me, you guys know I am obsessed with chickens! Can't wait to get our own soon. "I can not say I grew medicinal plants. We had really good soil, and always had a compost pile to enrich it, so I think the vegs. we grew were our daily meds. A full garden for us was carrots, tomatoes, broccoli, cabbage, cauliflower, beets- tried celery just once." "I canned or froze everything. Milk & meat came from our local store. We usually bought a side of beef in the fall from the local butcher and loaded the freezer." "One of my favorite meals was New England Boiled Dinner- consisting of ham, potatoes, cabbage, & carrots." 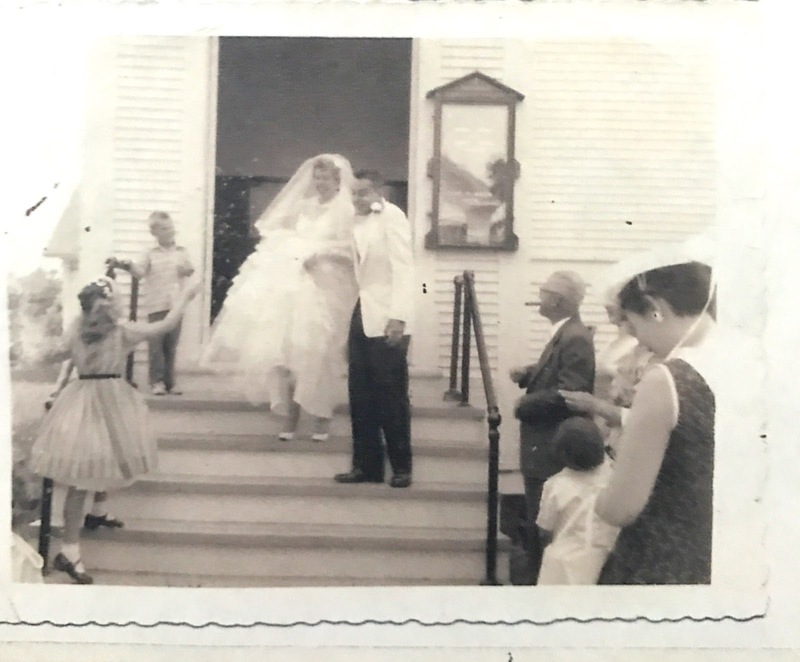 "The first year we moved to the farmhouse in Ballston Lake 10/31/63, we had an old wood & kerosene cook stove in the kitchen. We invited my family & grandpa's parents to join us for Thanksgiving. We had a whole fresh ham in the freezer. I cooked the ham for 3 days by the heat of the wood stove for our meal. That pork was the most tender meat I think I've ever had. What fun we had, 4 women in the kitchen, cooking!" Side view of the farmhouse the beige building on the left used to be my grandpa's garage. I remember my mom telling me stories about this farmhouse, at the time my grandparents only paid around $3-5k for the home, it didn't have any indoor plumbing, had well water and they repaired almost everything themselves. Talk about dedication and hard work! I wanted to know what inspired and influenced my grandma. What helped shape her as a person? Read below! Who is your favorite author or what is your favorite book? When and why did you get into yoga? What are your favorite natural/ eco-friendly hobbies? "I have a Kindle so I never run out of books to read and Grandpa and I do a lot of that these days. But my very favorite book is " The Four Agreements", by Don Miguel Ruiz." "I did yoga with a lady on the PBS station (although then it was called UHF) and the kids used to join me... that was back in the '70s. Your Mom says that's where she started yoga, too. When I retired from my sewing business in Beaufort, SC I started going to the local gym run by the county. In 1998 the then [step aerobics] instructor asked if we wanted to do yoga, a number of us said yes....then [I] started writing my own classes--bringing me to today- leading yoga classes for seniors like myself at the local Karate DoJo." "When we were young Grandpa and I used to do a lot of backpacking. Funny story. Your Grandad is the type that goes nowhere unprepared. We used to call his backpack his little red wagon. This one late Sept. weekend we went backpacking with friends in the Adirondack Mt. in NY to a place called Fishbrook. So pretty! Overnight, it turned very cold and the wind coming off the lake was freezing. We all wore Grandpa's extra socks on our hands and his extra shirts on our heads. We ate a hasty breakfast and packed up and left. When we got into the woods to hike home the trees cut the wind so we gave Jack back his clothes." I love this! I love that my grandparents used to backpack together. I love hiking and I bet the campgrounds and national parks were even more breathtaking (before the increase in global warming and pollution). Go green, to preserve our beautiful natural resources. 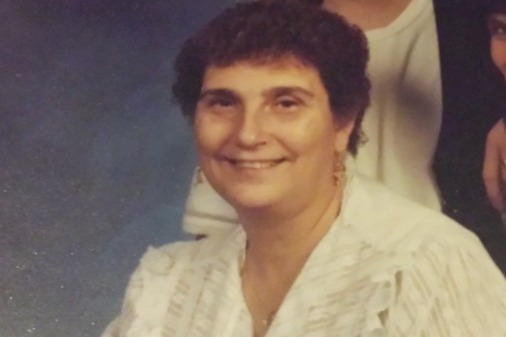 Lastly, I couldn't do this interview without going deeper and learning more about my grandma. Here are some of life's biggest questions that I asked her. Let's see below what she had to say. If you could change one thing about modern society what would it be? "I would say that I am most proud that Jack and I are still together- life is never perfect and we came close to separating a time or two. Add to that the pride I feel when I think of my children and how they have raised our grandchildren. I believe our union has produced people that are a genuine asset to their communities, and that makes me very proud." 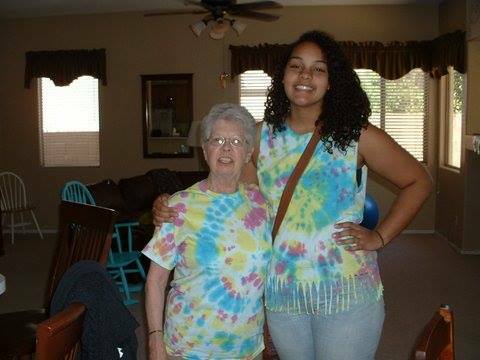 My beautiful Granny and I in our matching Tie-Dye t-shirts, and yes we did DIY them together. This was a few years ago right after I had graduated high school. "I would say my simple philosophy is, "live and let live". I think today some people try to run things their way and try to take everyone else with them. We are all unique and just as God meant us to be. He did not use a cookie cutter." Amen Granny, I couldn't have said it any better. I encourage you all to do something similar to this, with your own grandparents and even your own parents if you can. We have so much to learn from previous generations and the past. I think hearing stories like these can help keep some of those traditions alive. Of course, we all can't always can all our own food anymore and modern medicine has progressed quite a bit. However, learning how to garden our own food, live off the land and enjoy the present moment are things I think we can all benefit from. What was your favorite part of this interview? I just loved being able to get a glimpse into my Grandma's life and heart. Be sure to let me know down below your favorite part of this interview and if you do this with your own grandparents be sure to tag me on social media! I would love to see their responses.